Here’s something special for you with my thanks to Mental Management Systems. 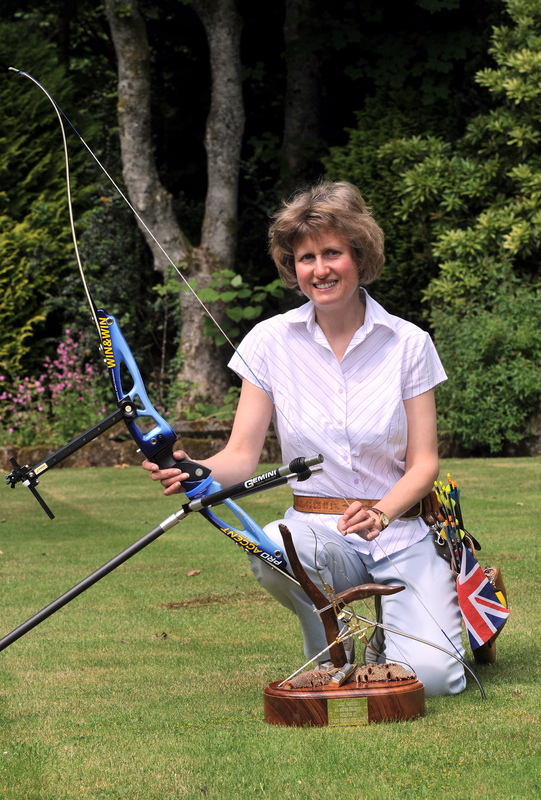 I used one of Lanny Bassham’s books, With Winning in Mind, when I was representing Great Britain in archery. It was also the inspiration to write my book, Succeed in Sport. Lanny especially liked my use of symbols to record performance levels. I was lucky enough to have a day’s mental management training with Lanny and his son Troy when they came to Britain. Here’s a piece by Brian Bassham we can all use. Have you ever seen a book titled, “The Power of Negative Thinking?” I haven’t and I believe the reason is because it works and is easy to do. We live in a negative environment where it’s easy to beat yourself up, vent to others why things are bad, and focus on the things not going well. It’s easy to be negative and takes no effort. With that said, if one practices having positive thoughts, it becomes easier for them to be positive instead of negative. The power of imprinting is real, both negative and positive. I’ve known people who seem to only have bad luck. They are the same people who focus on the negative. The Eeyores of the world that can’t catch a break to save their life. What if, those same people changed their thought process? What if you only focused on the positive and left the negative at the door? How much better would life be? How much more could you accomplish? The Self-Image needs two ingredients to grow, 1) Confirmation from others and 2) Confirmation from self. Let’s take a look at the first ingredient, confirmation from others. You must have a strong circle of people who lift you up. Think about the 5 people you spend most of your time around and ask yourself this question, “Do I feel better about myself when I’m around them?” If the answer is yes, keep them in your circle. If the answer is no, protect yourself. I’m not saying you should remove them out of your life. What I am saying is that if you want to reach your true potential you must interact with people who build you up. The second ingredient can be difficult for some but it is necessary if you want to have a strong Self-Image. There are 3 types of imprints: Actual Imprints, Environmental Imprints, and Imagined Imprints. Both actual imprints and environmental imprints are out of your control. However, Imagined Imprints are in your control. What you choose to think about, write about, and talk about is up to you. Choose to think Helpful thoughts, write down Positive Affirmations, and talk about what you want to have happen helps build your Self-Image. In the book, “With Winning in Mind” there is a section titled, “Building a Better You.” In my opinion, it’s the most important portion of the book. You have the POWER to change the Self-Image that you currently have to the Self-Image you desire by using the power of imprinting. First, make the decision that you are willing to change. Only you can make that choice. Second, identify specifically the habits and/or attitudes that you need to change. You must be specific. Third, identify the new Self-Image that is in direct conflict with your old one. Finally, only IMPRINT the new habits and/or attitudes of the desired new Self-Image. Imprinting positive thoughts and focusing on the new habits and/or attitudes will also create conflict within your current Self-Image. Only two things can happen; you become the person you desire by continuing to change your thoughts or you stay being who you are by stopping those imprints. The Self-Image hates conflict so this process is not easy but knowing that if you stick with your positive imprints long enough the Self-Image will change can be the motivation you need to keep going. Imprinting is in your control, control your thoughts and you can accomplish anything you put your mind to.